1. 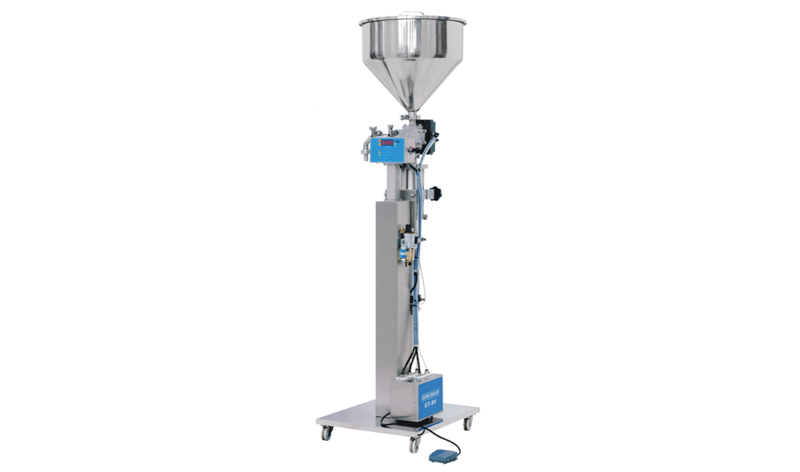 Speed and Capacity adjustable for quantitative filling. 2. Easy for Cleaning and Operating. 3. No skilled technique required. 4. The material mechanism is Stainless Steel quality, without any corrosion. 5. Both auto continuous filling and semi - auto pedal filling. Can be also used with automatic machines for On-line control. 7. Two-layer's filling tank can keep both heating and thermo stating function, it is optional. 8. It can be made for the Customer's Demand. 9.Filling Equipment for Stand-Alone or combine with others using. 1. Suits for filling high or low concentration materials. 2. Food: Jelly, honey, puffs, salad, bean sauce cream, sauce, soup-stock soy, milk, salad oil, mineral water and rice wine etc. 3. Chemical industry : Tooth - paste, pearl cream, cleaner soap, face cream, shower cream , perfume, essence, lotion, ink, machine oil etc.